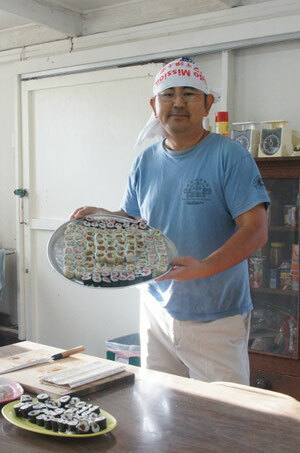 I've just made Sushi for the refreshment after Mother's Day Service here. It took me time more than I exptected because this time I was shooting the video of how to make Sushi this morning..... And I'm thinking to take a video of my sermon, too, for my youtube channel. Well, I have to change my clothes and make the Hondo ready. Once again, I wish you all have a happy Mother's Day!